French Polynesia: His Way and Her Way . Opens in a new window. Close to the airport. Stayed one evening and flew to Bora Bora tge next mirning. Breakfast was very basic but included. 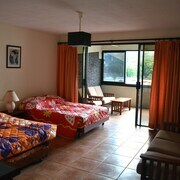 No views or amenities but for a sing le night close t o the airport and priced right it worked for us. 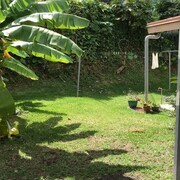 Is close to downtown and market, easy walk. Clean and spacious room and bathroom. Where to find Papeete hotels near an airport? Where can I find hotels in Papeete that are near tourist attractions? Planning to spend some time in Tahiti? 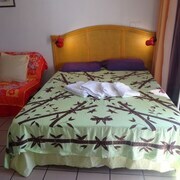 Hoping to book a hotel in the Papeete area? 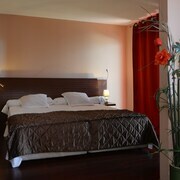 Papeete offers 8 Expedia-listed accommodations within 0.1 kilometres (0.06 miles) of the heart of town. Papeete offers visitors a selection of convenient accommodations, including the Hotel Tahiti Nui and Hotel Tiare Tahiti. Papeete features just a small range of no-frills lodging options. 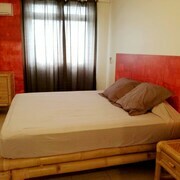 You will find the Hotel Sarah Nui conveniently situated 0.8 kilometres (0.5 miles) from the center of town. The Sofitel Moorea Ia Ora Beach Resort can be found 20 kilometres (13 miles) away from the main part of Papeete. Another hotel is the Manava Beach Resort and Spa Moorea, which is located 25 kilometres (16 miles) away. Other Expedia-listed hotels include the InterContinental Resort Tahiti and the Manava Suite Resort Tahiti. The James Norman Hall Home is a often visited place of interest in the region. 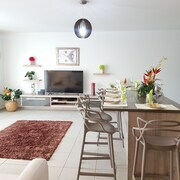 Find accommodation in Arue, , 4 kilometres (3 miles) to the east of the middle of Papeete. The Hotel Royal Tahitien and Tahiti Pearl Beach Resort are among your choices. Tahiti Faaa International Airport can be found 5 kilometres (3 miles) from the heart of Papeete. Tahiti Airport Motel is just a quick car ride away. 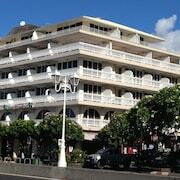 What are the most popular Papeete hotels? 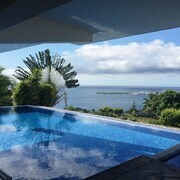 Are there hotels in other cities near Papeete? 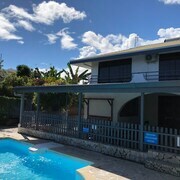 What other types of accommodations are available in Papeete? Explore Papeete with Expedia.ca’s Travel Guides to find the best flights, cars, holiday packages and more!